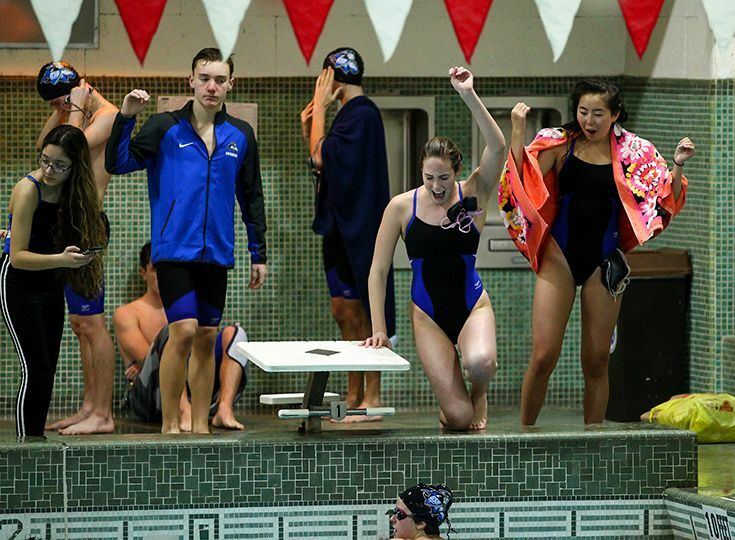 The boys’ and girls’ swim teams competed in both the Skyland Conference and Somerset County championships on February 2. Traditionally, the two championships are held on different weekends, but due to weather concerns, the conference meet had to be rescheduled for the same day as the county meet. On the girls' side, the Knights took 12th out of 18 teams in the Conference standings while taking ninth out of 12 teams in the county standings. Their 42 points in the county meet were by far the most Gill has ever scored. The boys took 13th out of 16 teams in the Skylands standings and finished 11th out of 12 teams in the county. Highlights from the day included Rebecca Michaels ‘20 taking sixth overall (conference and county) in the 50 freestyle with a blazing fast time of 24.85, marking her second Meet of Champions qualifying time. Also, Maddie Soultanian ‘22 claimed 11th place in 100 freestyle in the county standings and is only the second girl ever to record individual points at counties. For relays, the team of Maddie, Olivia Soultanian ‘22, Laura Howard ‘21, and Michaels claimed 10th in the conference and eighth in the county in both the 200 (1:50.38) and 400 (4:00.82) freestyle relays, both school records. The boys' relays were also equally impressive as the team of Robert Brandl ‘20, Gabe Myler ‘19, Preston Reep ‘19, and Christian Ernst ‘19 claimed 10th in the conference and eighth in the county in both the 200 (1:38.30) and 400 (3:43.69) freestyle relays, both school records.